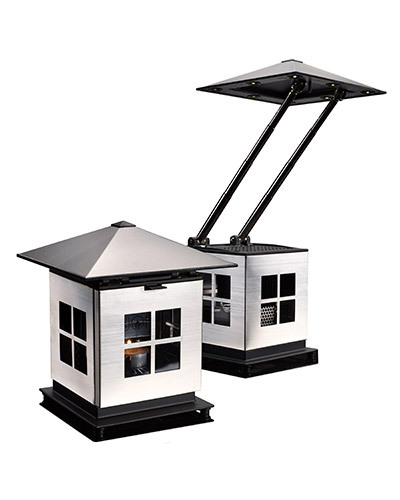 JOI is revolutionary new lighting centerpiece for the outdoor living environment and indoor entertaining. Combining style with thermoelectric technology, JOI magically transforms the energy of a simple tea light into enough light to illuminate the entire dining table. No batteries, cords or solar hassles. JOI has been designed to provide many seasons of enjoyment when you follow the operating instructions included. The stainless steel surfaces should be cleaned regularly to keep JOI looking beautiful. Fingerprints and dirt can be removed with regular glass cleaner and a warm water rinse. JOI Lamp operates with any 5/8” (16 mm) high, 4 hours tea lights only.